How do I calculate how much electricity my Christmas lights and decorations use? This is a question we are frequently asked. 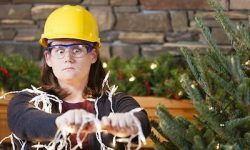 To help you understand not only how to calculate your electrical needs, but also how to use this information to make sure you are not overloading your electrical cords and circuits, we're putting together a multi-part blog series that will help you understand all aspects of dealing with your electrical needs for Christmas lighting and decorations. Electricity tends to be viewed as this mysterious, invisible force that while it may be essential to our lives, also tends to be very intimidating. 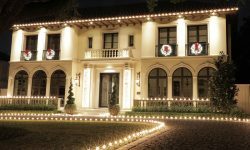 When it comes to Christmas lighting and decorating, electricity is critical. While lights, decorations, ornaments and hardware get all the attention, it's electricity that brings everything to life. 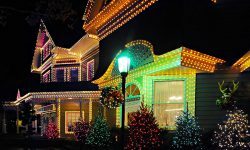 Despite its importance, very few people take the time to understand this critical aspect of Christmas lighting and decorating. 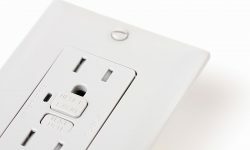 As a result, most people put up displays that often trip breakers, overheat electrical connections and in some cases actually lead to fires. Fortunately, knowing how to properly calculate electrical loads is much easier than most people think. Based on these calculations, the 100 ft section of C9 light line would draw 6.09 amps. 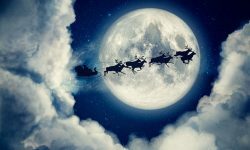 By repeating these calculations for all your Christmas lights, you'll be able to determine how many sets, or how many feet of light line you can plug into specific power cords or outlets. 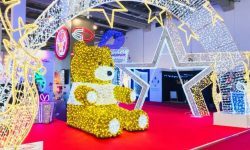 When it comes to figuring up how much electric decorations and displays use, it can be a bit tricky. Also if you have lights that are not marked with their wattage, it can be difficult to come up with the proper calculations. In cases such as this, you can very easily obtain the electrical draw by using an amp meter. We'll go into all the details of using an amp meter to calculate electrical draw in Part 2 of our Christmas lighting electrical series.